Escondido, Calif. – VUE Audiotechnik is pleased to announce the appointment of Michael Colon as western regional sales director for the United States. Colon’s announcement is the latest in a series of recent high-level appointments as VUE adds talent to support increasing worldwide product line adoption. Michael will develop and support VUE’s regional independent rep network while serving as the primary liaison for key customer accounts in the territory. Colon will report directly to VUE’s COO, Sara Elliott, and work alongside the company’s existing segment-specific sales personnel to continue the brand’s momentum in key markets, including touring sound, House of Worship and fixed installation. 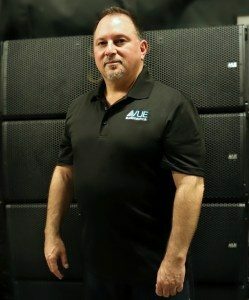 Immediately prior to joining VUE, Michael served as the western regional sales manager, North America, for Martin Audio. Through his 27 years in the business, Michael also served as national sales manager for Group One Ltd., working with brands such as XTA and MC2 Audio. He has also held strategic sales leadership roles at Crest Audio and JBL Professional.